Aside from the “Bred” edition that hit the market earlier this month and the “Squadron Blue” edition that is slated for release on February 9, another edition of the Air Jordan 13 Retro will hit the market soon. 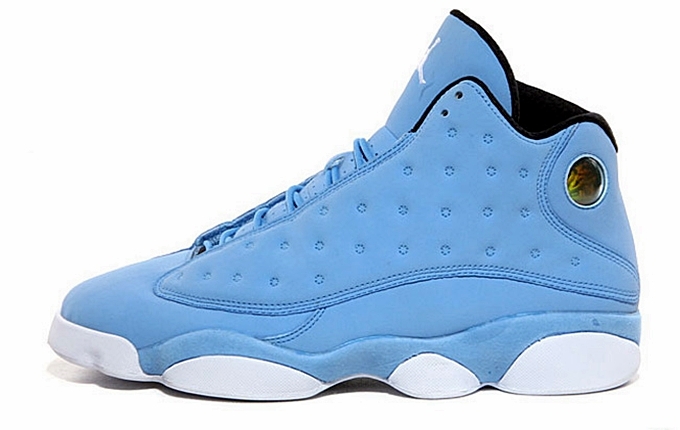 Jordan Brand recently announced the Air Jordan 13 Retro will come out in University Blue / Black – White colorway this year. This edition features university blue suede accented with black linings and white sole and Jumpman Branding. No specific release date has been announced, but this could come out anytime soon. Jordans Out will keep you updated so visit this website for more updates about the coolest JB kicks.